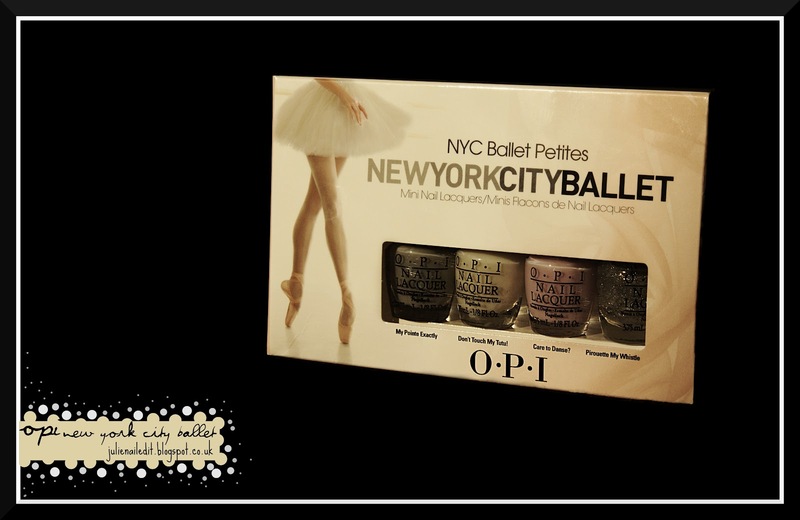 My swatch of OPI my pointe exactly from the New York City Ballet collection. This took 4 coats to get it to the colour above. I really like this colour. It is such a subtle grey colour. It looks great when it has been matted with a topcoat (have a look at the newspaper nails to see what I mean). It goes on really easily and looks gorgeous after a few good coats! Another nice subtle colour from this collection.